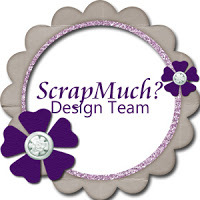 Welcome to our CTMH Stamp of the Month Blog Hop! We will be featuring February's SOTM, which is called Thoughtful Tidings, a stylish set of 11 sentiment stamps! If you have come here from MICHELLE'S BLOG, you are on the right path! 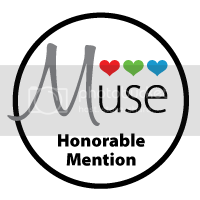 This month we have over 50 Close To My Heart Consultants sharing their creations using this month's elegant SOTM and other great CTMH products on their blogs. Hopping is simple to do - just click on the link at the end of the post on each blog to move to the next one! Here we go! This month I added another square to my collection of scrappy wall hanging that will someday be hanging in my home. I bought a ton of these 10 x 10 silver frames at Target years ago, and have slowly been building a collection of single page layouts to frame using special pictures or super big events. I love a nice one-off project - gives me an excuse to go hog wild on the embellishing without worrying about how to write instructions or project cost! In this case, we had the boys pictures taken for Valentine's Day (since we completely missed the holiday photo thing last year). At the end of the session she took a couple of goofy shots of the boys eating some of the mustache lollipops we had made for the boys' Valentine's parties. I love this silly shot where Max can't figure out what to do with a lollipop that has a mustache attached! Here's a close up of the crafty cluster down the side of my layout. 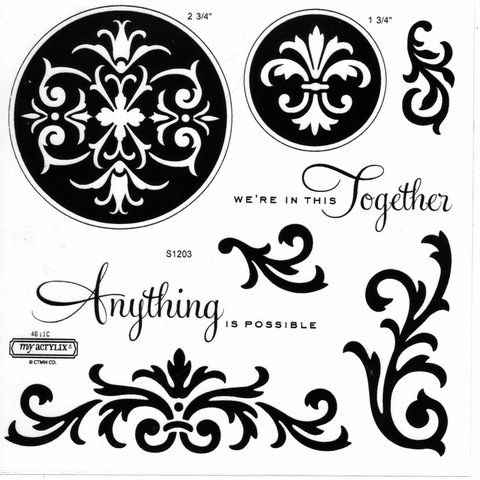 I cut all the pieces on my Cricut Art Philosophy Cartridge (which you can get along with $350 worth of fabulous CTMH goodness this month for just $99 when you join CTMH!) I mostly used Bamboo Cardstock plus a smidgen of the red B&T from the new Stella Paper PAck. Then I stamped the banners and circles using pieces of the SOTM circles and swirls. I put a pic of the SOTM at the bottom of this post, because it may be hard to recognize here, even though almost every piece is stamped with it in Tulip or Black ink! I also added one of the original lollipop mustache cutouts made with the adorable "A Paisley" stamp set. I applied a liberal sprinkling of buttons from the Red assortment, bitty sparkles , and lots of the yummy new Twine....plus a two of piercing with my beloved CTMH Piercing Ruler all around the photo to finish off the page! Now I MUSTACHE you to "Hop" on over to TAMYTHA'S BLOG to see what wonderful craftiness she's got up her sleeve! Be sure to visit all of the Consultants at their Blogs to get some great SOTM and other fun ideas! Remember, the SOTM is only available for one month, so contact your consultant (or click here) to see how you can get this stamp set for just $5! And I'm linking this to the Heart 2 Heart 3-D Challenge too! You Rock & We're in this Together! I've been reading this blog called CAS-ual Friday for a few weeks now. I've even completed a couple of the chellenges, but I never get them done in time to post them before the challenges close. But not this week! The challenge this week is Jest For the Pun of It! and I'm the type of gal who will giggle at her own (bad) puns, so this was a must do challenge for me. I started with the sketch from Heart 2 Heart challenges - it was just perfect for the punny card I had in mind. CAS means Clean and simple, so I tried. I'm a lumpy bumpy gal at heart, so instead of grouping of embellishments I did a layer of white buttons on white CS for the background of the card. Then I stamped some lines down one edge of a scrap of Sunflower CS to make my ruler, and sanded my handcut rock with a twisting motion to simulate a rock texture. And I just love anything with googly eyes on it. Even a rock is cute with googly eyes! I've got one more card tonight, then go check out the rest of the punny goodness at CAS-Friday! I also whipped up another Blue themed March SOTM card. This one came from the Heart 2 Heart Picture Perfect Challenge, where they have a picture of a lovely, beachy room with blue accents. I used the sketch 154 from Card Patterns. They always have lovely card sketches! For this card I did a lot of heavy sanding on my Bamboo CS pieces. I also debossed my Blue accent color piece with a cuttlebug swiss dot folder (meaning the dots go into the paper instead of poking out). Then I used an Outdoor Denim marker on the fine tip side to dot each little dot. I'm so sad that these markers are all retiring! They aren't copics, but they are lovely little reliable markers at a very reasonable price. They are still available only on a while supplies last basis...maybe I need to restock up! I have all the colors, but a few extra of my favorite colors can't hurt, right? Back me up CTMH friends - my hubby thinks I'm nuts! Here's a close up of the debossed/markered CS and the 3-D cricut flower. I stamped each layer of the flower with the Biggest damask circle image from the SOTM using Bamboo ink. Then I sponges the edges with Desert Sand ink and rolled the rounded end of my paper piercing tool over each petal to give the flower a slightly rounded shape. I'll be back on March 1st with the March SOTM Blog Hop - my project for the hop has me practically hugging myself I love it so much! Hope you'll stop back on Thursday and check it out! These second pages are adapted from the picture on the back of the StickEase, with more stamping and lumpy bumpy. I love the StickEase that coordinate with this kit - such pretty watercolored flowers. Check out the twine bodies on those butterfly stickers! And the last two pages are my favorites of course. Here's a close up of the stitch/pearl detail under the title area. I'm submitting this layout for the Heart 2 Heart 1-2-3 Challenge: that's 1 stamp set, 2 patterned papers, and 3 embellishments! In this case, I used the yellow floral and large floral B&Ts from the Pemberly paper pack, plus the stamp set from the WOTG. My Embellishments were the Bouquet Assortment resin flowers, the Pemberly StickEase, and the Bitty Pearls. What a fun challenge! See ya at club on Friday, Monthly Memories! Free Cricut Art Philosophy Bundle when you join my team!! 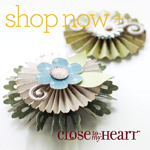 I know you enjoy Paper Crafting and you love Close To My Heart Products...now March is your LUCKY month!!! 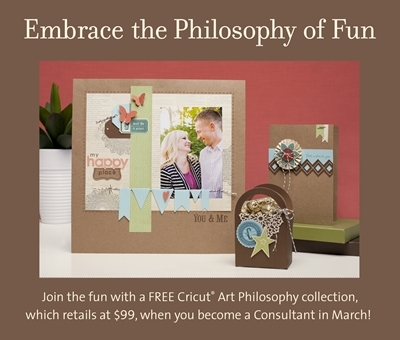 When you Join My Team as a Close To My Heart Independent Consultant in MARCH you will get the fabulous $99 Art Philosophy Cricut Collection for FREE!!! 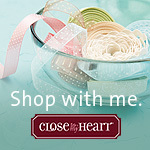 Don't worry, if you already have it you can choose $100 in Close To My Heart Products for FREE instead. It's a no brainer opportunity... it only cost $99 to join! If you've been wanting to buy the Art Philosophy Cricut Collection (which is $99) why not just become a CTMH Consultant ($99 to join) and get this awesome Consultant Kit full of nearly $300 in products too? As a consultant you'll then be able to get a discount on your Close To My Heart Products and the opportunity to earn extra money and even more free products! Isn't this so exciting?!? I'm jumping up and down and I can't wait for March 1st. When I joined (for more $, btw) I got a Red album with our handprint logo on it and a single 4 piece wood block stamp set. It's a decision I've never regretted. I wish I could be a new consultant all over again so I could be getting $400 in Close To My Heart Products for just $99 but instead I'll just be so excited to welcome you to my team and help you get on your way! Did you know all my team members have the opportunity to get an additional $100 in CTMH Products by hitting the "Straight to the Top" #1 & #2 goals. Close To My Heart rewards new consultants who achieve these goals with $100 in Select Product Credit so you can get even more FREE Products! Just an added bonus for joining my team! For more details on becoming a Close To My Heart Independent Consultant and to check out the New Consultant Kit you'd receive, visit my JOIN MY TEAM page. Or simply send me an email and I'd be happy to answer any questions you may have. My next Monday Motivations team meeting is on Monday, February 27th at 7 p.m. and you are welcome to attend, ask questions, make a free project with us, and see what it's like to be a part of my team! Ready to join? 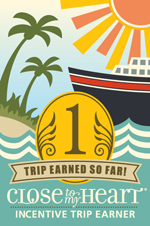 Be sure to wait until next Thursday, March 1st so you can take advantage of this awesome opportunity - then click here! Five for Free in February + giveaway! Hi! I've been out of the loop this last week (working on personal healing and (hopefully) a publication project! I've got more art for you this week, starting with Pemberly pages coming ASAP. 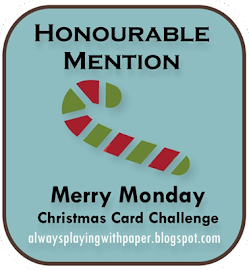 I've had a fun achievement this week, with a card placed in the top six at the Card Patterns blog - yippee! The sketch for this week is super cute, so go out and play too! CTMH is offering a FREE Studio J 5 pack for each 5 pack purchased this month - an amazing deal! They make great gifts - think baby showers, bridal showers, teacher's gifts... Plus, if you no longer have the time to scrap, Studio J is your solution! No stuff to tote, no mess to clean, just beautiful pages done in minutes! The part I love best is that there is no financial commitment - no pressure to use that 8x10 reprint just right, or to cut your pretty papers just so. Just point, click, and if you don't like it, don't buy it. Easy peasy! You can check out some of the fun stuff I've done in Studio J HERE. I'm going to sweeten the pot further, and offer one of my winning Stella Thank you cards with each Studio J 5 pack purchase this month! Anyone interested in learning how to use Studio J can attend a free quick class this Saturday, February 24th at 10 a.m. or 2 p.m. - thirty minutes and you'll be using Studio J like a pro! Just let me know you're coming so I'll print a handout for you! Double your layouts with our Five for Free promotion! 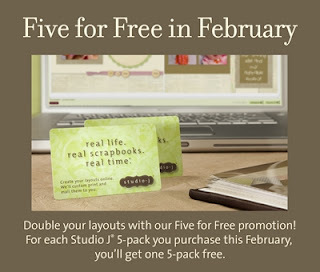 For each Studio J® 5-pack you purchase this February, you’ll get one free 5-pack. That means you get 10 layouts for just $55—that’s just $2.75 per page, with free shipping! Whether you’re looking for an affordable gift or a way to save money on your own layouts, Studio J 5-packs offer you convenience and savings. Even if you’re already taking advantage of Studio J’s incredibly low members-only pricing, you’ll save even more when you purchase 5-packs through this special February deal. Keep one for yourself and give one as a gift! Visit my website and create your Free Studio J account. Build some layouts - it's all free! If you like what you see, then buy a 5 pack to order the wonderful pages you'll whip up. You will apply the code you received for your 5-pack right into your Studio J account. f you have any questions, don't hesitate to email me. P.S. : There's only one week left to RSVP for my Pemberly Card Box class! 15 cards plus a beautiful 3-D storage box for just $25! This is what John and the boys cooked up this morning - sweet! It's on my screen saver, too. They were giggling with excitement that they made a project this morning. John said he could only get Max to stand for his picture if the other boys did too...he's such a little parrot right now! Gabe went back later and added an exclamation point over top of the "e" - because he says school says it means you are excited! Happy Valentine's Day, Stamping Friends! I love a new catalog - it makes getting to work in the stamp room so motivating! This weekend I finished the rest of the mustache valentines and a bunch of cards to go out for my team for their hard work in January! I used the Card Patterns Sketch 152 as my jumping off point. I loved the idea of the big off center focal point, so I cut some frames using my Cricut Art Philosophy cartridge - love that there's so many awesome images on that thing. It was hard to choose just one! I stamped a flower spray image from one of our consultant only stamp sets, and paper pieces the flower heads by rolling the image in Sunset adn Tulip inks, then cutting out the circular flowers and gluing them back onto the stems with Liquid Glass. I topped them off with medium sized sparkles. I also dip dyed some of the new Seam Binding ribbon for this project - messy, but so much fun! I rolled the ribbon into a small circle using my piercing tool. Then I dipped one side into Sunset Reinker, clipped it with a binder clip, then dipped the other side in Tulip reinker and let the colors meld towards the center to create an ombre effect. Once the whole ribbon was inked, I took off the clips and laid it out on some scrap paper to dry overnight. Fabulously varigated ribbon in custom colors - I'm going to be doing this again for sure! Then I whipped out one of the coordinating stamp sets that come in the Cricut bundle. 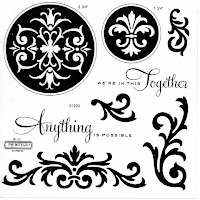 I cut 2 3/4" scalloped circles at just the right size to stamp the whole image, plus regular circles at 2 1/2 and 1 inch to create a paper pieced 3-D Image. 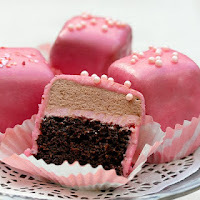 Each layer was lightly sponged on the edges with Cocoa ink as well. I added an extra little bitty flower from that Consultant only stamp set that is also rolled in Tulip/Sunset inks to fill in my sentiment cluster. I filled the flower center with another sparkle and some pierced detail. Then I created a faux ribbon tail for my scalloped sentiment by cutting some banner on my Art Philosophy Cartridge and painting them with reinker using a cheap foam brush. I tried to create a fabric look to the faux ribbon tails by swiping on the color them coming back with the tip of the brush to bring in extra color stripes. Finally, Bling Assortment button tied on with some waxy flax finished off my card. Now it's off to the PO they go, to bring a smile to my fabulous team! Good morning! I just finished packaging up the prizes for my January Birthday web order promotion. Here's a couple all be-ribboned and ready to pop in the mail (or club gals, get picked up at our meeting)! You'll be getting either some adorable Felt Die cuts or some elegant Top Coats Acrylic overlays (just right for working with your Rock the Block special)! I couldn't resist adding my tulips to the picture...my wonderful girls brought them for me at our Creative Club Team Stamp and they are holding up just beautifully. I should keep flowers in my stamp room more often - I feel more cheerful every time I look at them. Thanks - you girls rock! I Mustache U 2 B My Valentine! Every year since preschool we've handmade the valentines that the boys will be bringing to school. Might they be happier with inexpensive Buzz Lightyear/Lego Star Wars/Thomas the Tank Engine cards? Perhaps...but I don't think they would take as much joy in the valentines without helping to make them! This year, in honor of the countless mustache art related pin I've perused on Pinterest, I settled on a mustache Lollipop valentine. They boys are pretty thrilled with them. I did not have a mustache image to stamp and cut out (nor do I foresee myself making a gob of mustache projects) and I was unwilling to shell out the bucks to get a die or Cricut cartridge to make a handful of kid valentines. So I grabbed my awesome "A Paisley" stamp set (retails for 6.95!) and made myself a mustache template using the biggest paisley image. Then I just cut them out by hand while my team was stamping away at my quarterly Team Stamp! last weekend. A little Cricut banner took care of the cutting and punching of the sentiment tags, which I stamped with a combo of tiny alphabet fonts (Atomic which is retired and Tiny Typewriter) plus the valentine word came from Say It In Style, one of my all time favorite sentiment stamp sets. How did the boys like them? A picture says 1000 words! I linked this post to the Heart 2 Heart For The One You Love Challenge, because cutting out 40 faux 'staches is absolutely an act of motherly love for my funny valentines! Also linked to the Paper Issues All We Need is Love party. When I saw the sketch for this week's Mojo Monday I knew just what I wanted to do. It just took me a couple days to get the time to sit down and make my vision. Little boys take up a lot of time and energy! Finally tonight I decided to stay up late and get my fingers inky - or in this case, painty! I have been pondering this challenge over at CAS-ual Fridays, a movie inspiration challenge! I was kind of casually (lol) planning a Princess Bride card when the Mojo Sketch came through - and I immediately saw that iconic ET image of the bike going over the moon! I was off to find a bike image...sure I had that set that went with the Lucky papers..no...aha! I grabbed my Pair-a-Phrase set and the adorable little flower basket bike image. Just what I needed! I built most of my card in Moonstruck Cardstock. I embossed the background with my Swiss Dots Cuttlebug folder. Then I cut a 2 1/2 inch circle on my Cricut and embossed that with my Big Dots folder. The moon got painted with Pearl Paint. Then I dabbed it thickly with a lightly blue tinted Pearl Paint (Lots of paint, one tiny drop reinker) for texture, and then I sprayed the whole moon with Silver Glitter spray. After I colored my bike in with Tulip and Grey Wool Markers I went over the rims with more pearl paint tinted Grey Flannel and added bitty sparkles to the wheels. This movie challenge was a lot of fun - be sure to go check out all the clever movie cards on CAS-ual Friday! And here's the sketch from Mojo Monday. It's contest week, so be sure to toss your hat in the ring too! P.S. : Don't forget to sign up for the next Creative Club Kit - Just $25 for a beautiful Pemberly Card box plus 15 cards! RSVPs closing soon! Pemberly is one of my favorite new paper packets. I love the bold Blue florals, and I just couldn't wait to get my inky paws on this collection! For our new March Creative Club I've created this beautiful Card Box complete with 15 unique card fronts! When you've used up the cards, you'll still have the pretty box for storing trinkets or photos. The Pemberly Card Box Creative Club Workshop will be held on March 17th at Wendy's Stamp Pad. You can attend in person and enjoy a day of stamping and a light lunch, or you can order your kit to complete at home for a small shipping charge. Each kit includes pre-cut papers, the card box, embellishments including the new Sparkle Flourishes and Seam Binding Ribbon plus full color instructions to make everything pictured - just add adhesive! We are making card fronts only so we can get more cards from our paper supplies for the kit while keeping the price reasonable. The Creative Club Pemberly Card Box kit is just $25! All of the stamping on these cards is done with a new stamp set call Card Word Puzzle - a beautiful collection of floral/nature images and individual words you can combine to make dozens of phrases! If you are attending the workshop in person (held at my 900 square foot Stamp Pad!) you are welcome to stamp with my set, or you can upgrade your kit to include the stamp set, which you'll want to use again and again! Please RSVP by March 1st to reserve your kit for this elegant workshop. You can contact me via email, or reserve your spot via the Paypal Link below. You don't have to have a Paypal account to use this feature! To Go kits are not limited to quantity, but the March 17th Workshop (which includes a light lunch at no extra charge) is limited to 16 attendees total. Bring a friend I haven't met for a free Bonus prize! Here they are - the last 2 pages our club will be making tomorrow night! These Roxie papers are so pretty, pink, and girlie...just like the Tuesday Trigger out on the Moxie Fab website! I just wanted to eat that Trigger up when it appeared in my inbox - yum! I don't often have the perfect pics for such a thing, since our pics typically include trains, dirt, trikes, and everything not girlie. My two year old growls, "Dark Vader" in a menacing voice then giggles like a mad man. It's not a girlie household. And Dark is not a title - all three refer to him as Dark Vader. I think he might not approve of these pages - but I do! Yea for pink! And Sprinkles/Bitty Sparkles! So I did a couple of interesting things with these pages. Even though it's a flat Scrapbook layout, I'm linking it to the Heart 2 Heart Challenges 3-D challenge, since the punched pinwheels I incorporated required 4 layers of foam tape to pop my picture up level over them...I'm thinking shadow box, baby! I used a Martha Stewart punch to edge the long side of my pinwheel papers, then when you score and wrap it up, you get these lovely deco-medallions! I topped them off with the awesome buttons from our Bling Assortment. I swear I will never have a big enough stash of these sparkly Rhinestone buttons. Here's the second page. 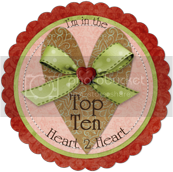 I used a smaller medallion here, and continued with the stamped/Cricut heart banner. I stamped the border image from our Roxie set in Bamboo, then layered on Cricut hearts cut fro the Roxie paper. I filled the spaces between the hearts with Bitty Sparkles, and added Black Hemp bows on each side to "hold up" my banners! Can you see the dimension the pinwheels added to my layout focal point? I love this picture of my oldest. This Layout is definitely gonna need it's own shadowbox! Ann that title comes from the NEW Keepsake Alphabet, one of my fav new things from the shiny new Spring catalog. I just love a new alphabet set! We love the zoo around here. We have a membership, and when the weather is nice it's not uncommon for us to hit the zoo more than once a week. Even when it's rainy we often go every week or every other week. The boys love the animals. They love being allowed to walk freely (so long as they stay reasonably close). I love that they know the paths at the zoo almost better than I do, so on the predestined day when Ben finally actually wanders off from me, I'll know where to look for him. And we LOVE a good zoo event! The zoo here has lots of fun special events throughout the year. We have elephant ear headbands from Elephantastic. We trick or treat at the Zoo Boo! We stood in line for what-seemed-like-forever to meet Baby Sam the new elephant. And here, in this layout you see us decked out in all out rain gear to attend the Frogs and Princesses Party at the zoo. Nothing better than the zoo in the rain...unless it's the zoo in the rain with Buzz Lightyear and Lightning McQueen boots! We're doing these two pages as part of our six pages for my Monthly Memories Club on Friday. I used the Roxie papers and my Cricut Art Philosophy Cartridge to create our adorable little animal buddies. It always amazes me how a pile of simple circles and shapes can become adorable punch art! Can't wait for club! 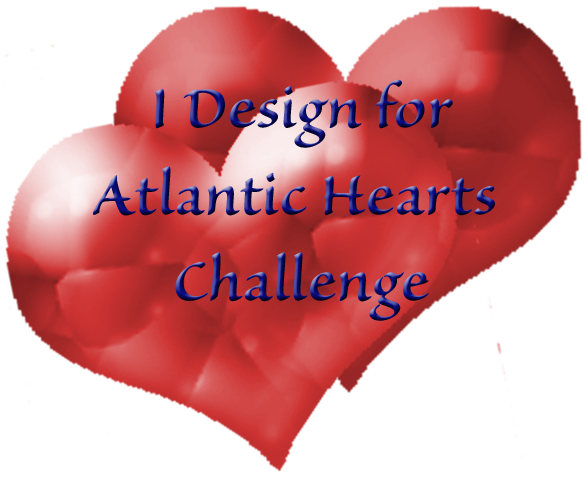 I'm linking this post to the Heart 2 Heart Photo Inspired Challenge. Roxie is a pretty pink paper packet (as evidences in the other 4 pages we're doing), but the photo pushed me to work with the browns and blacks in the kit...plus I popped little Bitty Sparkles into each little animal's eyes! Let's Cheer up Cath Blog Hop! I'm so glad I'm not too late on this one - I love Moxie Fab, and I felt sad for Cath that she wasn't able attend CHA, even as I enjoying watching the adventures of Flat Cath on FB this week. So when I realized that it's not too late to make her a card for the hop, I busted out a bit 'o glitter for Cath. Consider yourself hugged - hope you are feeling better soon! I started with the Mojo Monday 226 Sketch, which is a round or square card this week. I went with square since I just finished an hour of cricut cutting as part of my scrapbook club prep. I embossed the Crystal Blue CS background with some big ol' dots, then gave the bottom half a glitter stripe treatment. You apply adhesive all over your base CS (A little xyron machine comes in handy for that. Tonight I used monoadhesive). Then adhere your CS stripes all across the base. Apply Prisma Glitter over the top and it'll fill in the stripes with glitter - hooray! I layered some Cricut Art Philosophy diecuts for my focal point. Each layer got sponged with Amethyst and Crystal Blue inks. The center layer also got embossed with those big dots. And finally, the sentiment on top comes from the February Stamp of the Month, an adorably handy little set of sentiments. I tied off a knot of Amethyst organdy ribbon, then used some white string to tie on a cute little acrylic Friends Charm and topped it off with a medium Sparkle. I'm linking this card to the Heart2Heart Color Challenge Plus. And don't forget to check out the For Cath with Love blog hop and Moxie Fab for some really wonderful inspiration!